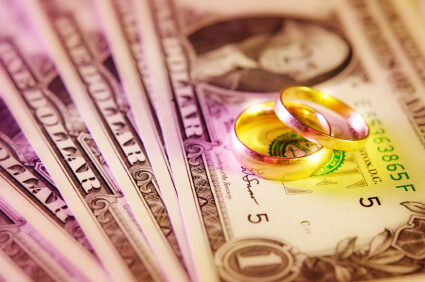 Want to know the secrets that are saving brides hundreds or even thousands of dollars? Keep reading! Search “wedding coupons” online. You won’t believe how many coupons you will find. Go to the websites of the stores you want to buy things from and sign up for their e-newsletter (if they have one). They will probably send you coupons and deals. You can also sign up for special offers at some stores. Haggle with your wedding vendors. Dealing with vendors isn’t like buying an item at a store. You CAN negotitate the price. If you photographer says they want $1800, suggest $1500 and see if you can get them to budge. What do you have to lose? Name every possible reason you should get a discount– maybe your wedding reception is short… maybe you only want the vendor for the ceremony or reception… or maybe you have local vendors that won’t have to travel far. You might have to be creative to get them to knock some cash off the price. Recommend the vendor to another person having a wedding. If they get hired, they will likely give you a discount on your special day. If you find a product you like online, type the product name into Google and look at the Shopping results. See if another store has the item for a cheaper price. Start shopping early! If you begin looking shortly after you get engaged, you are much more likely to run into sales and specials. Have a wedding on a Sunday instead of a Saturday or during the winter or fall instead of summer or spring. A lot of vendors need business and will be more willing to negotiate with you. Another way to get good discounts is to buy some bridal magazines. They have coupons in there for different wedding stores and such. You can open them at the store and buy the ones that have the coupons you will use. Great idea, Susan! I’m so glad you shared your idea. Dress: shop white or ivory bridesmaid, prom or evening dresses, or “special event” dress. You can customize it however you like to get your dream dress, at a lower cost. Cake: Ask for a tiered birthday cake instead. Apparently “wedding cakes” have specifications on the height of each tier and the numbers of layers in each. I believe I was told 4 layers? A “tiered birthday cake” may only have 2 layers, or you might specify that to bring the price down. Flowers: I plan on getting price quotes from local florists on the flowers themselves. I don’t mind putting bouquets together myself for my bridesmaids and me to save some money. Also, I read that you can save a lot of money using silk flowers for decorations and the toss bouquet. Every Sunday, our local newspaper has ads and coupons for JoAnn’s and Michaels. I plan to stock up slowly on flowers and making my own table and aisle decorations with those coupons. Pinterest is a bride-to-be’s best friend! It also has many links for discount bridal items like decorations, and a site for brides to sell their one-time-used wedding stuff. Can you say discount?? Oh, there’s also a site where your bridesmaids can trade in their dress for a LBD, which they will definitely use more often than their bridesmaid dress! !